Limited Edition Evangelion Sparkling Wine - Damn Rich Geeks! If your into all the Evangelion collecting and literally spaz out every time you realize your collection is incomplete then my friend you have to get your geek pocket ready as these Evangelion Sparkling Wines will probably put a pretty big dent in it. 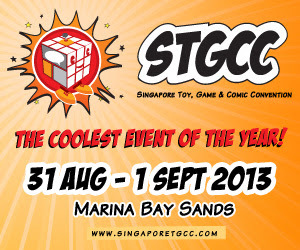 Actually if you already have a big collection than I guess your wallet is probably invulnerable in the first place. 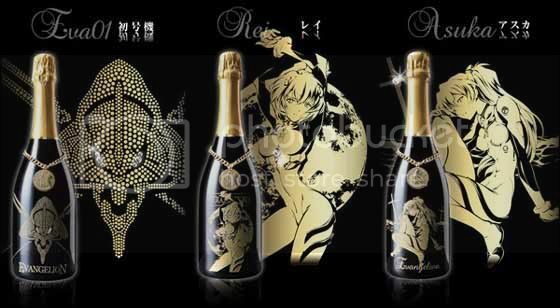 Animate is selling these limited edition wines at around USD 630 per bottle. Don't worry your bottle will be unique because they're only making around 333 bottles of each wine available to the public. You can go ahead and buy your bottles at the source link below you rich geek you.